Hello! How are you guys? I hope you all good. Back to my outfit post: casual and simple style. 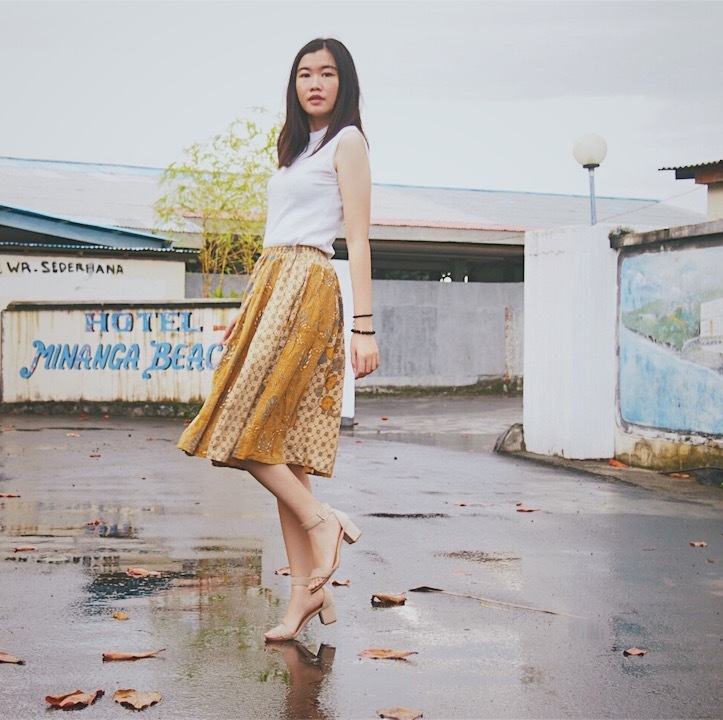 I wore a batik skirt in this post. 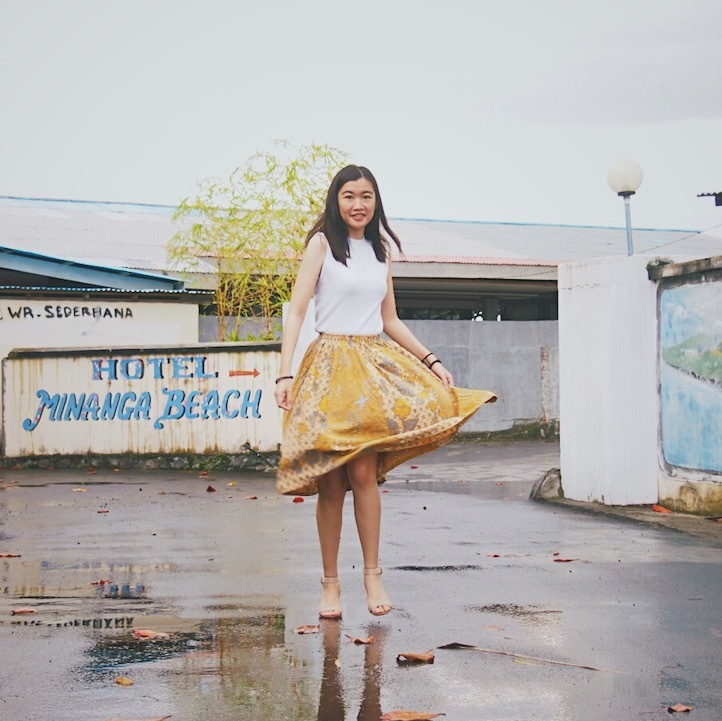 Actually I wanted to took some photos with this skirt since last year but I didn't got a chance to took the photos last year and lately I made it. 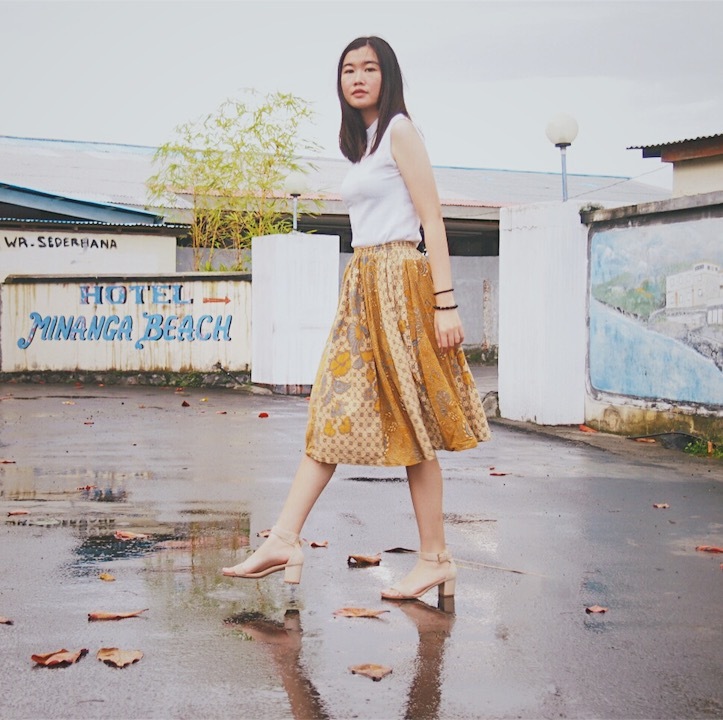 I rarely wore batik not because I don't like it but because I'm a little bit confused how to style it and make it casual and simple. 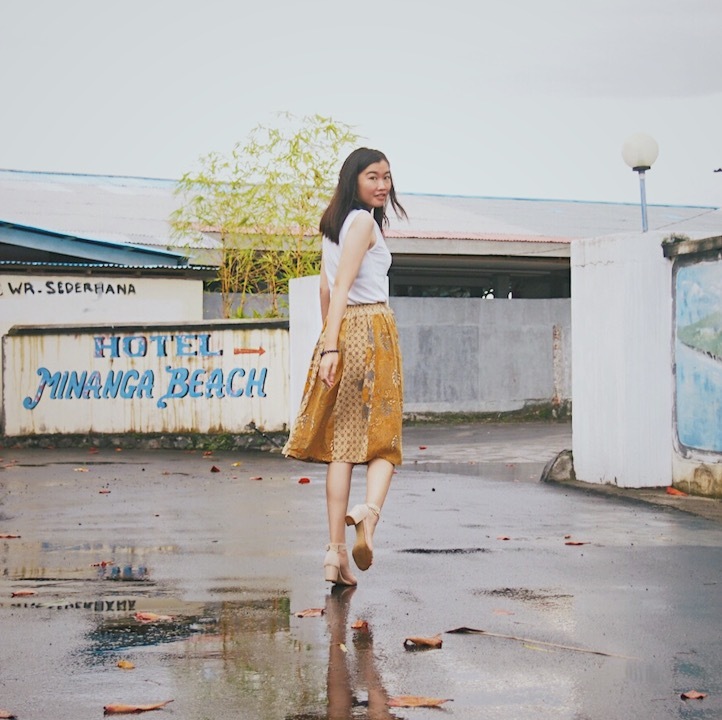 In my country, Indonesia, people wear batik for formal looks, part of their office uniform or school uniform, or for formal meeting. That's why I'm a little bit confused to make it casual. But in this post, I guess I did it. 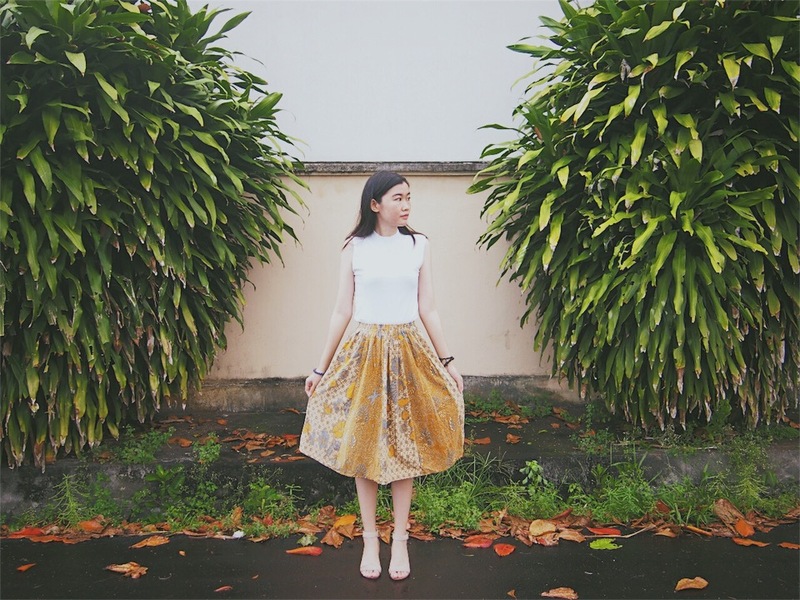 I combine this beautiful batik skirt with sleeveless basic white turtleneck and a pair of mid heels. Not many wore accessories because I'm not a fans of accesories, only wore bracelets here.